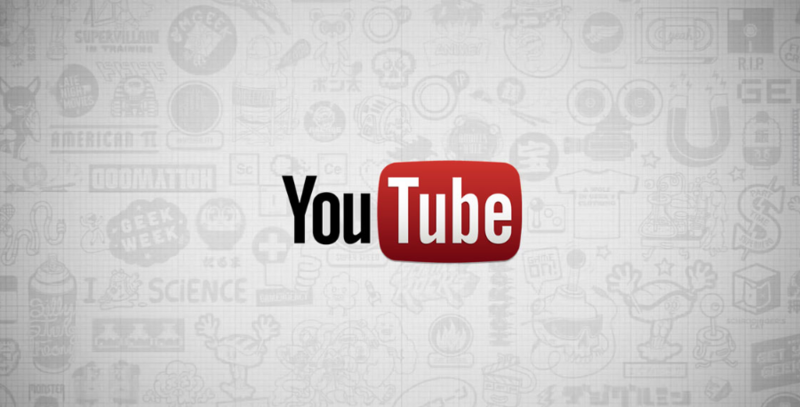 YouTube is no doubt the most popular video site all over the world. YouTube wants you to stay online so they do not give a simple button to download the video. Meanwhile, YouTube keeps adding pre-roll, mid-roll and post-roll to the videos and now, trying to annoy everyone into paid subscribers; besides, when videos are removed by YouTube, they are gone forever unless you have backed them up on your hard drive. 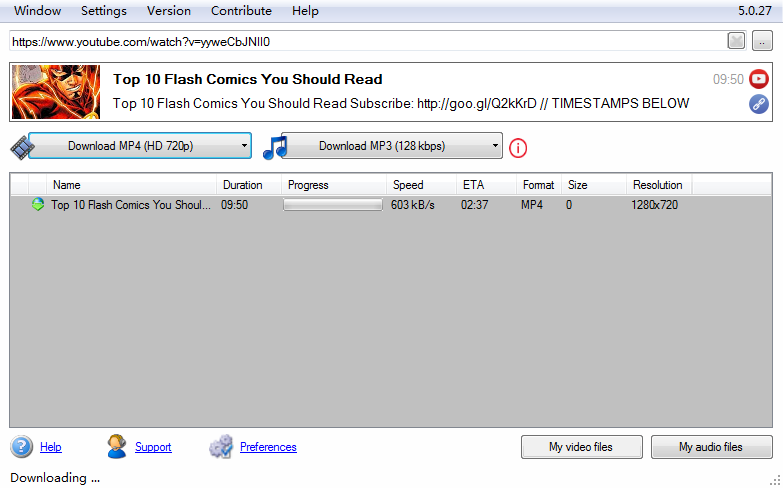 That’s why we love to download YouTube videos with free YouTube downloader software to watch them offline. There are many online video downloaders out there but all of them are limited somehow and the speed is generally slow. Why not install some free YouTube download to help download YouTube video and enjoy them on your computer and devices offline? Here are the top 10 free YouTube downloader for Windows users. Check them out! AllYoutube2MP4 for Windows is a completely free YouTube downloader. It can batch download video from 300+ sites (check the supported list). You can download 4K, 8K and FHD video and convert them to other video formats. You can download from both YouTube channels and users. There are plenty of output profiles if you want to save the YouTube video in different formats and qualities for your devices. You can even save your preferred quality settings as a custom profile. You can save your account ID and password to download the videos that require login. The subtitles can be downloaded. There are also some video tools to help you manage the downloaded videos. Take a look at how easy to download YouTube video with AllYoutube2MP4 for Windows. Any Video Converter Free is video converter software while it also serves as a free YouTube downloader. It supports 100+ input & 150+ output formats and comes with a built-in video editor. The free version only allows you to download one video at a time so if you want to batch download YouTube video for free, you may have to switch to other products. But of course, if you don’t download that much video, it is suitable for occasional use. Viddly for Windows is a light-weight application to download YouTube video for free. It can download 8k/4K/Full HD videos at up to 60 fps. It is quite easy to use: when you copy a YouTube video link, it would be automatically pasted into the downloader. There are two drop-download lists to choose different format & quality for video and audio to download. It supports multi-language interface. The free version does not allow you to download videos from a channel or a user and it contains some ads. WinX YouTube Downloader can download videos from over 600 sites. It can download all the SD, HD, FHD and UHD videos. The UI is straightforward and it includes a built-in previewer. 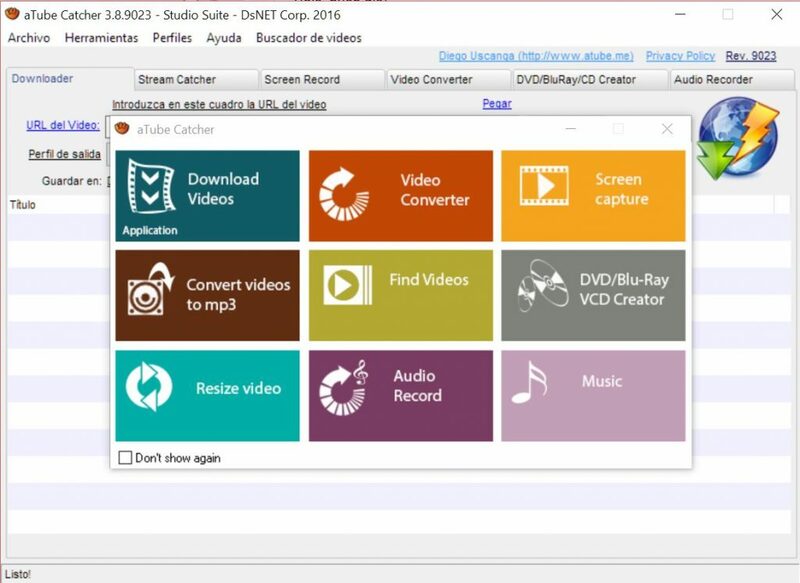 It is not a converter so you won’t be able to input any downloaded YouTube videos to convert them. It works completely for free it fails to download YouTube sometimes. If you are looking for a YouTube converter that can be updated frequently to adapt to the changes in video sites, there are better options. Freemake Video Downloader is able to download video from more than 10,000 video sites, according to their product description. It can download YouTube video to MP4, WebM, 3GP & Flash FLV formats and download music to MP3 files while preserving the original quality. It can be integrated with your browsers like Chrome and Firefox. Freemake Video Downloader is completely free to use and include some ads in the main window when you are not downloading videos. If you want to show your support for its development, they also accept donations. Beware of the installation of two services – if you don’t want them to collect your statistics, do not allow them when asked. All Video Downloader supports over 280 sites. It includes a built-in search engine that allows you to search for the video and the results will be displayed along with the thumbnails. The download speed is breakneck. It includes a built-in player to preview the video. However, there are still downsides: it can download only 2 videos simultaneously – more than Any Video Converter Free, but still, not enough for users who need bulky download to use up their bandwidth. Meanwhile, it just fails to download certain YouTube videos for some reason. 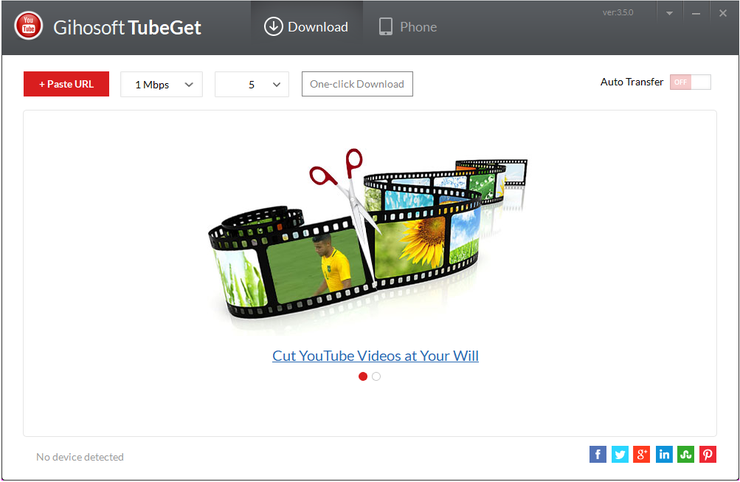 aTube Catcher is a batch YouTube downloader that is free to use. It supports downloading video from YouTube, Dailymotion, Facebook, Metacafe, Yahoo, and “thousands” more according to their description. Once the video link is successfully analyzed, you can choose the format and quality you want to download. It can record your screen and the video being played as a video recorder. You can also burn the video to CD or DVD. It’s a compact program with a bunch of related tools and it also provides an Android version. Some features are hidden unless you make a donation. aTube Catcher’s installer includes one adware program (maybe more in the future version) so be careful when installing it – the “Decline” option is intentionally not obvious. YouTube Music Downloader allows you to download both video and audio from YouTube and it supports 1000+ websites including Vimeo, Tumblr, Facebook, Metacafe, etc. The UI is neat and well-organized. You can even share the downloaded content with your friends. After you paste the URL, you can choose from two options: Music & Video, each with a menu to select the format and quality as needed. It also includes a converter. YouTube Music Downloader is free to use. Compare to many of its competitors, YouTube Music Downloader falls short in features and its converter includes fewer options. If you are expecting an all-round YouTube downloader that can save you much time from looking for other tools, it may not be an ideal choice. Airy is one of the best YouTube downloaders. Although it’s not free, it works fine if you can accept the trial limitation – you can only download one video at a time. It’s good enough for some users who don’t always need bulky download or who don’t have sufficient bandwidth to handle batch download. It supports subtitle download and you can choose different formats and quality standards. It can automatically log in to YouTube account with the ID and password you enter. It also supports browser integration. Like YouTube Music Downloader, Airy is a fundamental tool and it focuses mainly on downloading videos. If you are into feature-rich applications, check others out. Gihosoft TubeGet is a free YouTube download that can download video from over 100 sites. You can download from playlists and download the video with subtitles. It allows you to convert downloaded video later and transfer them to iPhones and several Android phones and it can back up media data in case of data loss in your devices. Gihosoft TubeGet allows you to select the video resolution to download but for free version, it only supports up to 1080p. If you don’t purchase the Pro version, the download speed is limited. It’s OK for downloading a small music video of about 10 or 20 MB but unbearable if you want to download video in size of over 100 MB. AllYoutube2MP4 for Windows is the best free YouTube downloader due to its capabilities. Unlike many other so-called “free” downloaders, it does not restrict users one way or another. Now you’ve got the best free YouTube downloader software for Windows. If you are a Mac user, it also includes a Mac version and let’s find out the top 10 YouTube downloader for Mac.